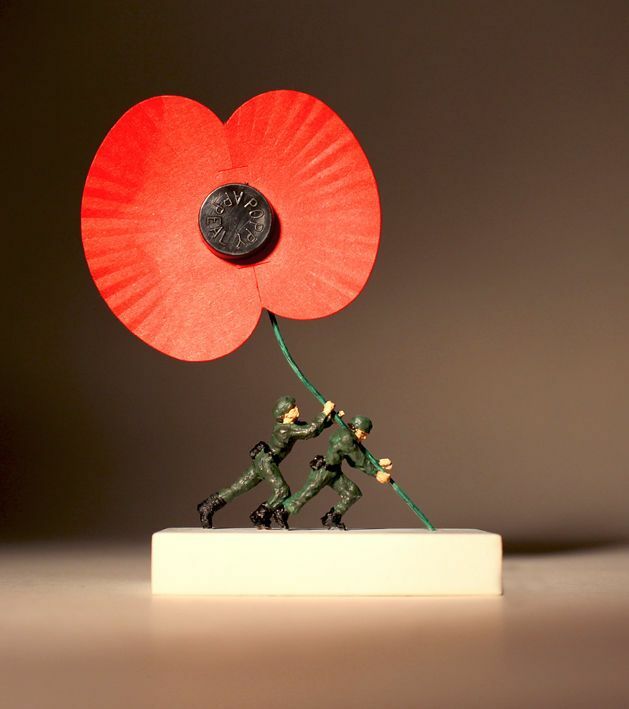 It seems appropriate that with Armistice Day looming that I let you know about the work that Nic Joly - an incredible artist - is creating in support of the Royal British Legion. For well over a year, Nic has been working on a project called 'Never Forgotten'. The project was inspired by his meeting with a ninety-six year old war veteran who talked through his experiences of World War II and also passed on his father's stories from World War I. 'Never Forgotten' remembers those that bravely fought and sacrificed their lives using the symbol of the poppy as a symbol of remembrance. 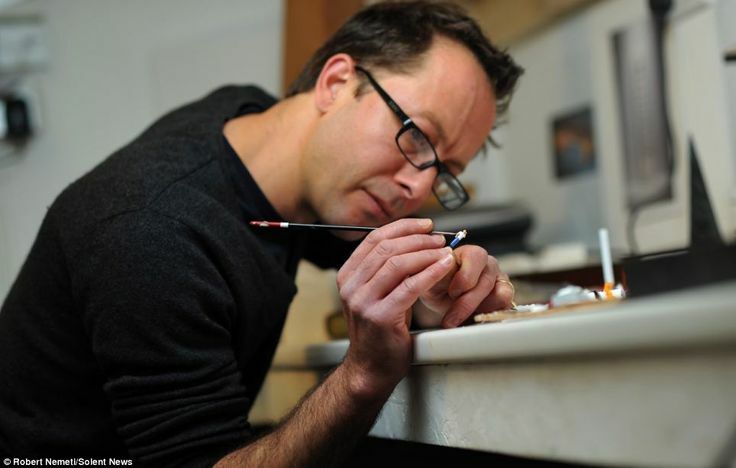 Nic is a sculptor of tiny little people which he then uses to creates profound messages within his final art piece using scale and symbolism to convey his observations with a twist of wry jest. It is the quality of his work and his sense of fun that drew me to Nic's work. Since moving out of London I love exploring and finding lovely new places to walk the dog, entertain the girls, sit and have a lovely coffee and most importantly have some gorgeous shops with exciting new finds that you simply don't find on the high street. Well, I think I have now found my favourite. A friend in Hampshire introduced me to a lovely town called Arlesford and on one of my visits there, wandering down a side alley I stumbled across the most incredible artist, Nic Joly. What I find the most incredible is the amount of work involved in each picture. Each character is first made by bending wire to create the shape. This is then wrapped in cotton to fill out the body before being coated in plaster. Once the plaster has dried Nic is then able to sculpt the bodies which in turn are mounted on lollypop sticks so that he can paint them. Each one is made by hand and therefore each little figure is individual and that's just the people! The scene then needs to be set. From scaffolding and buildings to piles of cocaine and rolled up £20 notes, each and every detail is carefully constructed within its mount to create the master piece. Now back to 'Never Forgotten'. 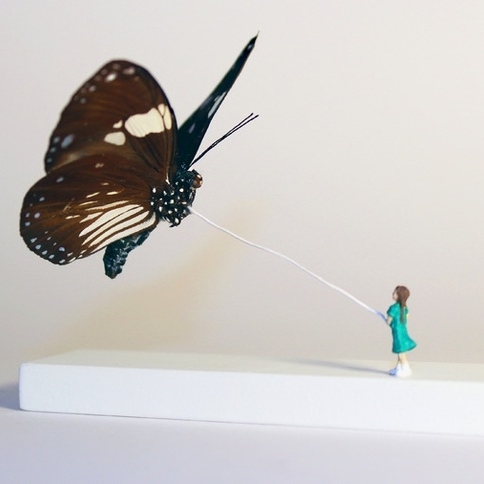 The original work was sold at auction for a veterans charity, raising £7,500. Last year, Nic released a bronze addition for the centenary year after the outbreak of the break out of World War One with a limited edition of 1,566 to mark every day that the war was fought. 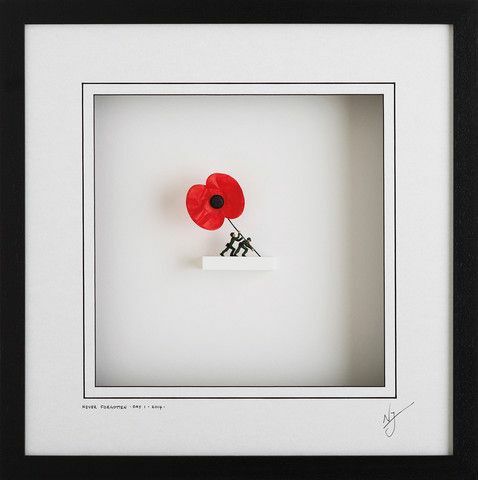 Castle Galleries is donating £100 for every edition sold towards the Royal British Legion. So far, upwards of £45,000 has been raised towards the £150,000 target that Nic is hoping to raise for the Legion. The money is used by the Legion to support armed forces, veterans and their families. Coming from a forces family, with my Father having served in the Royal Navy and my brother currently serving in the Territorial Army, the Legion is a charity that is close to my heart. So don't waste any time. Visit Nic, support this wonderful charity, and more than anything else enjoy his wonderful work, sense of humour, and - of course - Arlesford! 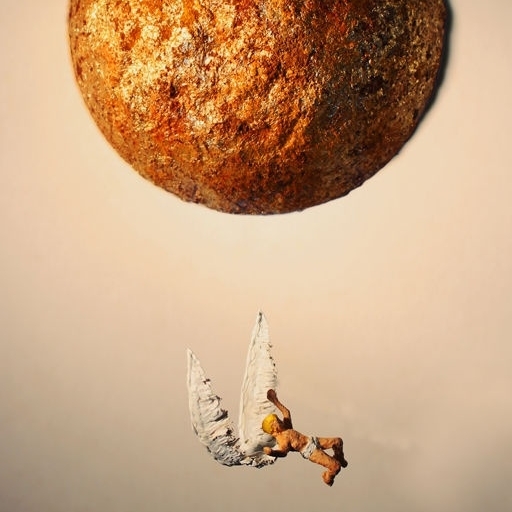 To see some of Nic's new work, why not pop along to Castle Galleries on South Molten Street to meet Nic and see his 'Light and Dark' collection in person on the 3rd December 2015, 6-8pm. If you can't make it then the exhibition will then run for two weeks.